Beautiful soft autumn day; listening to sweet banjo and fiddle play as we pick apples from the orchards at the Santa Fe Community Farm. Warm sun on shoulders, warm laughter from the children, bobbing for apples as we pick the fruit. Fifty five pounds of apples brought home in arms. 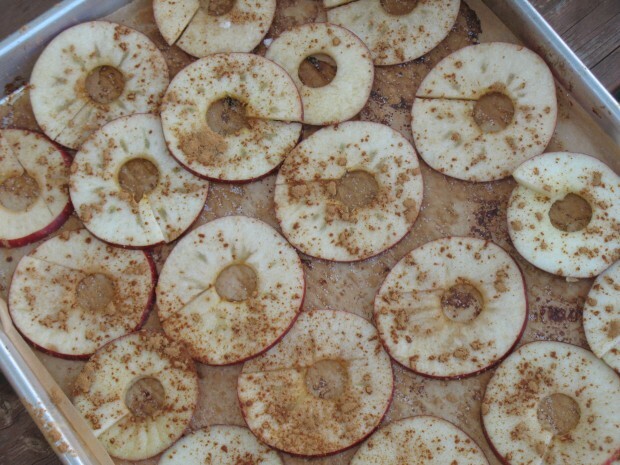 The next day, coring, slicing apples, some sprinkles of cinnamon, then baking them for hours on low heat. 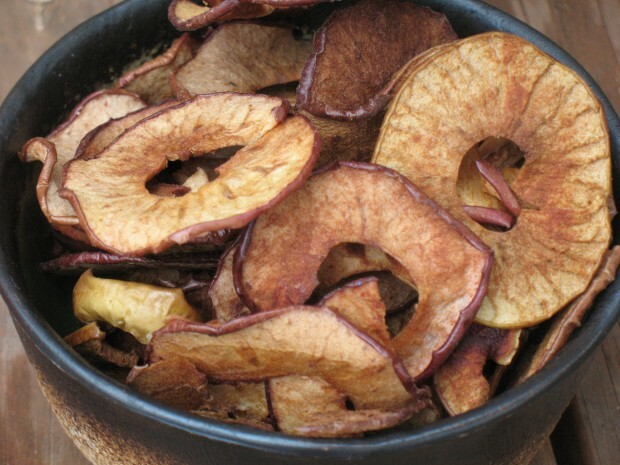 Out of the warm oven come crisp apple chips. Not a bad way to spend our autumn days.